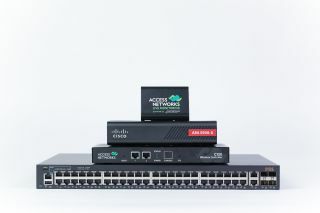 The What: Access Networks now offers preconfigured solutions optimized for Crestron NVX deployments. The What Else: Access Networks’ Core2 and Core3 custom-programmed networking solutions are now certified to work with Crestron's DM-NVX Series of AV over IP encoders/decoders. The standardized configurations ensure deployments are seamless and efficient for dealers integrating Access Networks’ Core Systems with Crestron NVX products. The new Crestron DM-NVX system is the only secure solution to deliver 4K60, 4:4:4, and HDR video over standard 1gbps Ethernet. Access Networks Core systems provide the high bandwidth and low latency today’s video distribution systems need. Coupled together, DM-NVX and Core are an easy to deploy solution for new installations as well as retrofit projects. The Bottom Line: As a Crestron I2P partner, Access Networks’ Core2 and Core3 products will work in lockstep with Crestron products to provide consistency in an increasingly complicated landscape of IP-based products that “ride” on the home network. To make it even easier, Access Networks Core systems also includes four years of support from its industry-leading team of certified support engineers, providing a future-ready solution as network requirements change over time.